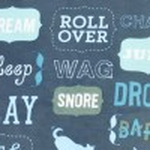 Snore, bark, chew, drool, sit & stay, play, wag. Sound familiar? 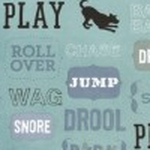 These are all essential parts of a Dog’s Life! Elevated sides are the ideal resting place for your pup’s head and create the ultimate pooch retreat. Inner cushion can be flipped a allowing you to enjoy different looks in one bed! Ultra-soft velvet material with signature P.L.A.Y. leather logo and custom-made P.L.A.Y. zipper. Handmade craftsmanship ensures dog-years of use. Click the button below to add the Dog's Life Lounge Bed to your wish list.